You know that little voice inside you that tells you what is right for you to do and what isn’t – and I don’t mean “right” in a moral sense, something you could argue about or discuss, I mean it in the sense that it feels right, you just know it. It’s my theory that that voice always leads us perfectly; and more than that, it fits us in with everyone around us, so that when others are following their voice, and we are following ours, the world fits together like a jigsaw puzzle and everything falls into place. We don’t need to think about what other people are doing – we only need to pay attention to ourselves, and what we are doing. Even less than that, we don’t need to do anything right away at all. We just need to listen to that voice, and if the thing we are about to do does not feel right, we just don’t do it. Do nothing. Within minutes, another action, another option will appear. Check that as well – if your internal voice and feeling tells you it’s right, do it; if not, don’t, and wait for the next option to appear. If we look at all the things around us that seem to cause problems: pulling triggers, making guns, mindless consumption of resources, if we just stopped taking those actions, almost all of our current “problems” would disappear. As for what happens next, once we start taking the right actions, the gut actions, the things we know in our hearts are what we are supposed to do… Imagine that. Imagine what would happen then. To find out how you can have me support you in your projects, take a look at Project Flow! The following is an article shortly to appear in Business Matters magazine – thank you, Paul, for giving me this opportunity. Corporate social responsibility, a unique way of working, innovative ideas… What is it your ideal client needs to know about your business to become brand loyal, to love working with you, and to know they want to buy from you again and again and again? Books are a fantastic way to let your customers know all about you. In this world of competing attention, we’re often led to believe a sound bite is all we will get to deliver. If we can’t sum up our value in twenty words or less, we haven’t a hope of being heard. What if that weren’t true? What if you could get 40-50,000 of your words into the hands of your ideal client, hold their attention for four or five or six hours of their time, and leave them with a full, positive picture of who you are? If things have been operating in the normal way of the world for your business, chances are that your customers think you are motivated primarily by money. You and I know that’s not true, that your motivation goes much deeper than that. Money is important – very important – but it’s not the most important thing. And chances are that once your customers know what is the most important thing to you, a new bond will be formed, a new trust, a new level of doing business. You may be asking yourself: Could I really write a book? Many entrepreneurs are not enormously confident about writing. The creative brain is not always compatible with the confines of spelling and grammar, and that’s completely fine. There are plenty of people who can take care of that – the important thing is that you get your message out, into the world where people can hear it. Most of my clients are more fluent in conversation, or in public speaking, than in writing. The process of producing their books is easy, outlined here so you can follow it yourself. When I work with clients it takes 3-4 days of their time to plan, record and consult through the process. In around six weeks their book is completed, ready to take their full message out into the world. Watch out, world, maximum expression and speed is on its way, is here. Accelerating today, terrifying tomorrow. Get used to it. These last few months have been a time of huge personal growth for me, letting go of the last of fear and hesitation, guided and supported and challenged by two exceptional coaches: Dave Kibby, www.davekibby.com and Saskia Clements, www.nzlifecoach.co.nz. Part of the learning over this time has been of interdependence, and the realisation that two are more powerful than one, many are more powerful than two, and developing the skills to harness and revel in that possibility. I knew this before, in my head; now that learning has reached my body and become an integrated part of who I am. There came a time a month or so ago when I found myself asking a question: “once we’ve got to that point beyond fear, and are looking at a world of truth, of destiny, of following our true path, what then? How does the world look different from here?” It’s a question I didn’t immediately get an answer to. In fact, it’s a question I couldn’t immediately get people to understand. Bit by bit, however, the answer is emerging; I get snatches of phrases, glimpses of visions, exhilarating, exciting ideas of how things might be. I see, long term, a world without money, as everyone contributes their unique part with joy. Resources stretch and expand because people only take what they need in the moment, trusting tomorrow for tomorrow, like the lilies of the field. I see health as distinct from medicine, focusing on the delights of the human body in its flexibility and strength. I’ve been working with Martha Grover at Joie de Vivre, London, on effortlessly creating a body that moves easily, and is a source of joy; and here has been the reinforcement of a truth I’ve suspected, that everything is so much easier than we have believed it to be. Things can be easy, effortless, if we only open ourselves to that ideal. Every aspect of life has a new vision in this new universe. I know I’m only just beginning to see. Just running the thought experiment gives me a deep sense of satisfaction, of purpose, that we might have the vision ready when the world as a whole steps forward, and asks how we would like things to be. One of the things about adventure is that while the action, when described, sounds exciting, a lot of the time there’s pretty much nothing going on at all. 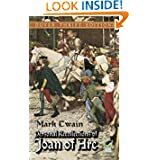 Joan of Arc waited around for a year for Robert de Baudricourt, governor of Vaucouleurs, to give her the men-at-arms she was commanded to wait for before presenting herself to the Dauphin, the King – and by any and all standards, hers was a fairly exciting life. We’re used to our stories being distilled down to their essence – a 22 minute sitcom; a 90 minute movie – that’s the most effective way for us to consider those stories, and integrate their relevance into our lives. The trouble with that is, we get to thinking that action happens in a continuous stream, one event after another, with no waiting, uncertain, perhaps doubting, in between. I tend to take my action in the inspired form: I get a clear sense of what is needed, and whether it delights me or fills me with dread, the result is the same – I do it. That’s the easy part. More challenging are those times when the voice inside me, clear as a bell, tells me “there’s nothing to do, do nothing”, or simply goes quiet and I’m left twiddling my thumbs, a menace to myself and others, searching for something to fill the time. I’m getting better at it. Sometimes, now, I can go easy on myself: stare out the window at the glorious view; listen to music; watch a film. And at other times? Well, let’s just say I’m working on it, masterpiece in progress, hoping the artist, whoever that might be, can repair the chisel damage that happens when I have a go at sculpting life myself. To generate greatness, significant actions are few and far between – that’s what I’m learning – and the less I keep myself busy, or thinking, or planning, or trying to do it all myself, the clearer the voice inside me, the one that dictates those significant actions, becomes. Why do people keep saying there are only six senses? Why do people keep saying there are only six senses? It is time to open our minds much broader than that, and acknowledge the vast range of things we sense beyond sight, hearing, smell, taste, touch – and whatever sixth sense the speaker happens to be considering at the time. What about the sense of where our bodies are in space, without reference to sight? What about the sense of our bodies moving? What about the sense of another person’s mood, even if they’ve left the room before we enter it? What about the sense that it’s about to rain or thunder, or the exhilarating sense of imminent lightning? What about the settling we feel in our bodies when we have a cat sitting moulded onto our knee, or after we’ve finished a bout of laughter? What about our sense of direction, however that works? What about the prickle of premonition or deja-vu? What about pain, in its myriad forms? What about hunger, what about thirst, what about knowing we need to exhale? What about our sense of space, or of order? What about the sense of rightness, of certainty? What about our sense of justice? What about the sense of intuition or the sense of logic? What about the sense that a loved one is with us, even when they are a long way away, or no longer in this world? What about the sense of belonging, and being loved? There’s the sense that we have been holding ourselves back for many, many years because in language we acknowledge limits to our world that do not need to exist. What would you sense if you took an expanded moment of freedom to breathe into? Is there something there for you that your body, in its most intelligent sense, has known for a long, long time, that your mind did not? What about the feeling of love for another? Where does that come under the headings of the big five? And our other emotions: fear, anger, joy, excitement, peace, happiness, grief… ah, yes, grief? These things we feel in our bodies, but not with the sense of touch, taste or smell. These things we feel in our hearts, our tight muscles, our headaches, our expanded arms; the lifting of our chest in anticipation; the bowing of our shoulders in pain. In describing our world we can limit it, it’s true; but we can also open our view, widen our horizon with a few, deep, heart-chosen words.